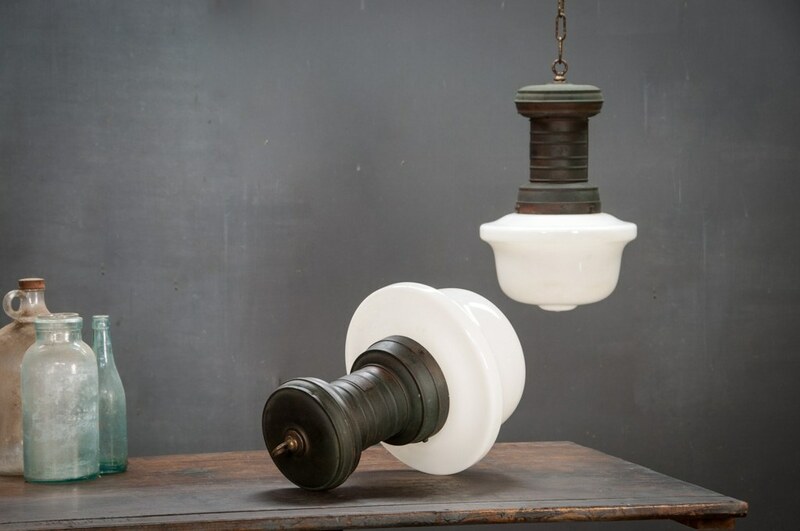 USA, Philadelphia, 1910s, Early Tungsten Arc Pendant Lights. 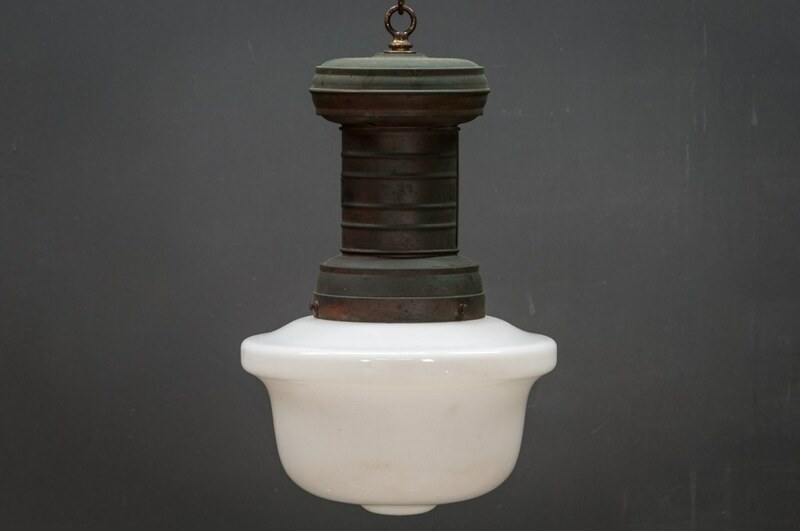 Beautiful Turned Copper Light Housings. 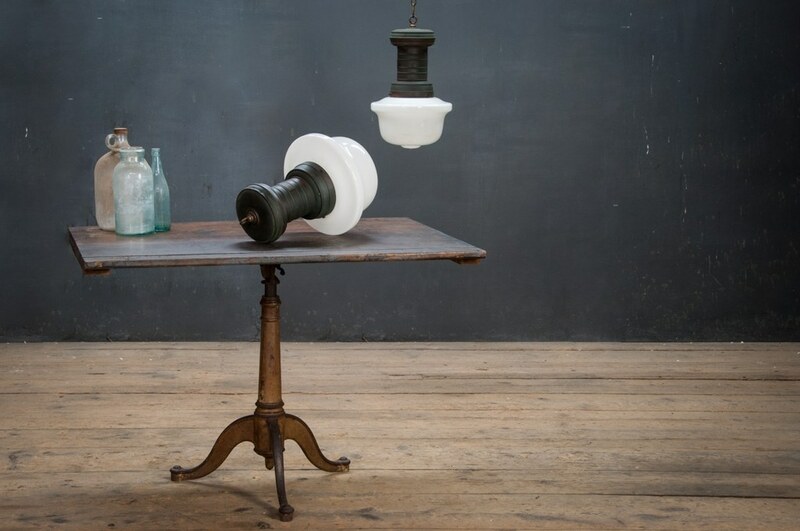 Blown Milkglass Shades. 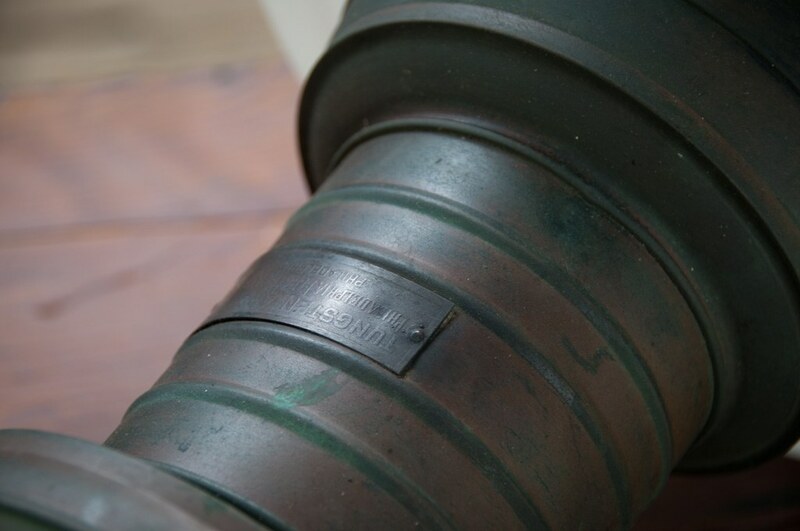 Rich Time Worn Patina. Retains Philadelphia Tungsten Light Co. Labels. Fully Rewired. 2 Available. H: 19 in. (to top of the brass hoop) Shade Dia: 13 in.